What is Coronary Heart Disease (сardiac ischemia)? How to distinguish Cardiac ischemia from a heart attack? To what coronary heart disease conducts? Treatment of сardiac ischemia by drugs. What it is important to know? Main reason of Coronary Heart Disease. Why Drugs Are Poweless? How to stop progress of Coronary Disease and to save life from of a heart attack? According to definition of World Health Organization the Coronary Heart Disease (CHD) represents the sharp or chronic dysfunction of a myocardium owing to relative or absolute reduction of supply of a myocardium with arterial blood most often connected with pathological process in system of coronary arteries.. Thus, Coronary Heart Disease this is chronic oxygen starvation of a cardiac muscle which leads to violation of its normal work. The lack of oxygen leads to violation of all functions of our heart. For this reason coronary heart disease is a complex concept which includes heartache, a myocardial infarction and violations of a heart rhythm. For normal work our heart needs continuous intake of oxygen with blood. Coronary arteries and their branches give blood to our heart. Until a gleam of coronary vessels pure and wide - heart does not lack for oxygen, so, is capable to work effectively and rhythmically without paying to itself attention under any conditions. By 35-40 years it becomes already more difficult to possess pure vessels of heart. On our health the increasing impact is exerted by a habitual way of life. The increased arterial pressure and abundance of greasy food in a food allowance promote accumulation of cholesteric deposits on walls of coronary vessels. So the gleam of vessels on which our life directly depends begins to be narrowed. The regular stress, smoking in turn lead to a spasm of coronary arteries, so, still more reduce inflow of blood to heart. At last, the inactive way of life and excessive body weight as a trigger inevitably lead to the earliest emergence of coronary heart disease. Coronary Heart Disease symptoms Most often the very first noticeable displays of coronary heart disease it is attack similar pains in a breast (heart) - heartache. Painful feelings can "give" to the left hand, a clavicle, a shovel or a jaw. These pains can be both in the form of the sharp pricking feelings, and in the form of pressure sense ("heart presses") or burnings behind a breast. Such pains often force the person to stiffen, stop any actions and even to hold the breath until they do not pass. Cardiac pains at Coronary heart disease as a rule last not less than 1 minute and no more than 15 minutes. The severe stress or physical activity can precede their emergence, however the obvious reasons can not be. From a heart attack the heartache attack at Coronary Heart Disease is distinguished by smaller intensity of pains, their duration no more than 15 minutes and disappearance after nitroglycerine reception..
What causes a Heartache attacks? When we discussed blood supply of heart, said that pure coronary vessels allow our heart to work effectively under any conditions. Cholesteric plaques narrow a gleam of сoronar vessels and reduce inflow of blood to a myocardium (cardiac muscle). What more complicated blood supply of heart, that it is capable to sustain smaller loadings without painful attack. All this occurs because any emotional and physical activities demand strengthening of work of heart. To cope with such loading our heart needs more blood and oxygen. But vessels are already hammered with fatty deposits and have spasm - they do not allow heart to receive necessary food. What occurs - load of heart grows, and it cannot receive blood any more. Quite so oxygen starvation of a cardiac muscle which, as a rule, and is shown by an attack of the pricking or pressing pains behind a breast develops. It is known - always several harmful factors leads to emergence of Coronary Heart Disease. Often they are connected with each other. But than they are harmful? The abundance of greasy food in a diet - leads to increase of cholesterol in blood and to its deposits on walls of vessels. The gleam of coronar is narrowed - blood supply of heart decreases. So, distinct attacks of Coronary Heart Disease become noticeable if cholesteric deposits narrow a gleam of coronary vessels and their branches more than for 50%. 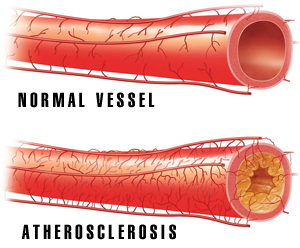 Diabetes - accelerates process of atherosclerosis and adjournment of cholesteric plaques on vessels. Existence of diabetes increases risk of emergence of Coronary Heart Disease twice and considerably worsens the forecast of patients. One of the most dangerous heart complications of diabetes is the myocardial infarction. Hypertension - the increased arterial pressure creates excessive load of heart and blood vessels. Heart works in excessively high mode for exhaustion. Blood vessels lose the elasticity - ability to relax and pass more blood at loading. There is a trauma of a vascular wall - the major factor accelerating adjournment of cholesteric plaques and narrowing of a gleam of vessels. Inactive way of life - permanent sedentary job at the computer, movement on the car and lack of necessary physical activities is led to weakening of a cardiac muscle, venous stagnation. It becomes heavier to weak heart to pump over stagnant blood. In these conditions the good nutrition of a cardiac muscle oxygen is impossible - Coronary Heart Disease develops. Coronary heart disease - is the progressing disease. Because of the accruing atherosclerosis, the uncontrollable arterial pressure and a way of life over the years blood supply of heart worsens up to the critical sizes. Uncontrollable and uncured CHD can pass into a myocardial infarction, blockade of a heart rhythm and heart failure. What states and what they are dangerous by are? The myocardial infarction is a dying off of a certain site of a cardiac muscle. It develops, as a rule, because of thrombosis of the arteries feeding heart. Such thrombosis -is result of the progressing growth of cholesteric plaques. On them over time blood clots which are capable to block oxygen to our heart are also formed and to create threat for life. At a myocardial infarction there is a sudden attack of the intolerable, tearing apart pain behind a breast or in heart. This pain can give to the left hand, a shovel or a jaw. In such state at the patient cold sweat acts, arterial pressure can fall, nausea, weakness and sensation of fear for the life develops. The myocardial infarction differs from heartache attacks at Coronary Heart Disease in intolerable pain which proceeds long, more than 20-30 minutes and slightly decreases from nitroglycerine reception. 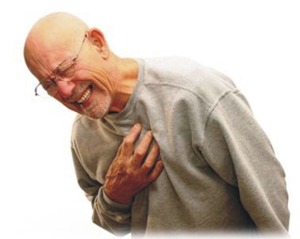 Heart attack - a life-endangering state which can lead to cardiac arrest. For this reason at emergence of above-mentioned symptoms it is necessary to cause an emergency medical service immediately. Violations of a rhythm of heart - blockade and arrhythmia. Long violation of adequate blood supply of heart at Coronary Heart Disease leads to various failures of a heart rhythm. At arrhythmias pump function of heart can fall considerably - it inefficiently pumps over blood. Besides in case of gross violation of a heart rhythm and conductivity the stop of heart activity is possible. Violations of a heart rhythm at Coronary Heart Disease can proceed asymptomatically and be registered only on the electrocardiogram. However in some cases patients feel them in the form of frequent heartbeat behind a breast ("heart bangs"), or on the contrary obvious delay of beats of heart. Such attacks are followed by weakness, dizziness and in hard cases can lead to loss of consciousness. Development of chronic heart failure - is a result of uncured coronary heart disease. Heart failure is an inability of heart to cope with physical activities and to fully provide with blood an organism. Heart becomes weak. At slight heart failure there is expressed short wind at loadings. In case of heavy insufficiency of the patient it is not capable to transfer without heartache and short wind the easiest household loadings. Such state is followed by hypostases of extremities, constant feeling of weakness and an indisposition. Thus, heart failure is a result of progress of coronary heart disease. Development of heart failure is capable to worsen considerably quality of life and to lead to full loss of working capacity. 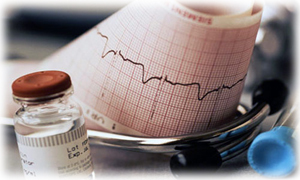 The diagnosis coronary heart disease is exposed by results of tool and laboratory researches. Blood test, with interpretation of a profile of cholesterol and sugars is made. For an assessment of functioning of heart (a rhythm, excitability, contractility) electrocardiography record is carried out. For an exact assessment of extent of narrowing of the vessels feeding heart a contrast agent is entered into blood and the X-ray analysis - a coronary angiography is carried out. The data set of researches shows a current status of a metabolism, a cardiac muscle and coronary vessels. In combination with symptoms it allows to make the diagnosis to an ischemic heart disease and to define the forecast of a course of a disease. First of all, it is necessary to understand that medicines do not treat the main origin of coronary heart disease - they temporarily muffle symptoms of its current. As a rule, for treatment of an ischemic heart disease the whole complex of different drugs which need to be accepted every day from the moment of appointment for life is appointed. In therapy of an ischemic heart disease appoint drugs of several main groups. Drugs of each group possess a number of basic restrictions for use for ischemic heart disease patients. So treatment becomes impossible, or hazardous to health in the presence of certain diseases at different patients. Being imposed at each other, these restrictions considerably narrow possibilities of medicinal treatment of coronary heart disease. Besides, set of side effects from different drugs, represents in fact a disease, already separate of an ischemic heart disease, which considerably reduces quality of human life. Antiplatelet agents - the drugs "liquefying" blood. Aspirin containing drugs are most frequent in use. All medicines of this group are contraindicated at pregnancy and feeding. Drugs have the irritating and ulcer forming effect on a stomach and intestines. For this reason reception of these means represents risk for patients who already have a peptic ulcer of a stomach, a 12-perstny gut or inflammatory diseases of intestines. At long reception of aspirin forming drugs there is a risk of development of allergic reaction of respiratory tracts. It is especially important to consider it if the ischemic heart disease patient already has bronchial asthma or bronchitis since drugs can cause an attack. It must be kept in mind that all drugs of this group render considerable load of a liver and therefore are extremely undesirable to use at hepatic diseases. Beta-adrenoblockers – huge group of drugs which occupy one of the main places in medicinal treatment of an ischemic heart disease. All beta adrenoblockers possess considerable restrictions for use. 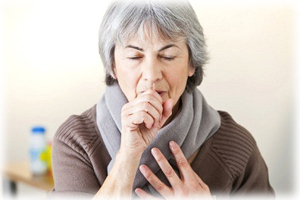 Patients cannot accept this group of drugs with asthma, bronchitis, COPD and a diabetes. It is connected with side effects in the form of a possible bronchospasm and jumps of sugar in blood. 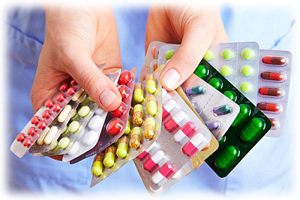 Statins – these drugs are used for decrease in level of cholesterol in blood. All line of drugs is prohibited at pregnancy and feeding as statines can cause anomalies of fetation. This drugs are highly toxic for a liver in this connection are not recommended at the corresponding diseases. In case of reception regular laboratory control of inflammatory indicators of a liver is necessary. Statines are capable to cause an atrophy of skeletal muscles, and also to aggravate a current of already available myopathy. For this reason when developing pains in muscles against reception of these drugs it is necessary to see a doctor. Statines are categorically not compatible with alcohol intake. Angiotensin-converting enzyme inhibitors – are most often applied to lowering of arterial pressure at treatment of an ischemic heart disease. Reduce concentration of the major ions in blood. Harmful influence cellular composition of blood. Are toxic for a liver and kidneys in this connection are not recommended for use at the corresponding diseases. At prolonged use cause constant dry cough. Nitrates – are most often applied by patients for quick removal of heartache attacks (nitroglycerin tablet under language), can be appointed also for the purpose of prevention of heartache. This group of drugs is prohibited to use at pregnancy and feeding. Drugs exert serious impact on a tone of vessels in this connection their use causes a headache, weakness, lowering of arterial pressure. For this reason treatment by nitrates is dangerous to people with disturbance of cerebral circulation, hypotonia and intracranial pressure. At prolonged use of nitrates their efficiency in connection with accustoming considerably decreases - former dosages cease to remove heartache attacks. Nitrates are categorically incompatible with alcohol intake. Considering the above, it becomes obvious that treatment of an ischemic heart disease by medicines is capable to constrain only temporarily progress of a disease, causing considerable side effects in the sick person. The main lack of medicinal therapy is impact on disease symptoms without elimination of the reason of development of coronary heart disease. Coronary heart disease is an illness of a metabolism. Because of deep disbolism in our organism on vessels cholesterol is laid, arterial pressure rises and there is a heart vasospasm. It is impossible to cope with steady progress of an ischemic heart disease without having corrected a metabolism in an organism. It is widely known - it is necessary to watch arterial pressure. It is not less known that there are strictly certain figures of "healthy" arterial pressure which meet standard. Everything that above and below - is the deviation leading to an illness. It is not less known that continuous consumption of greasy and caloric food leads to adjournment of cholesterol in vessels, to obesity. Thus, it becomes clear that fats and calories in food also have strictly certain norm within which the person is healthy. Excess consumption of fats conducts to an illness. But how often sick people hear that their breath is deeper than norm? Whether patients with coronary heart disease know that excessively deep breath plays every day a key role in development of their disease? Whether it is known to ischemic heart disease patients that so far they breathe more deeply than healthy physiological norm, no drugs will be able to stop progress of a disease? Why does that happen? The arterial hypertension - rise in arterial pressure - reflex defense reaction of our organism on air hunger of bodies and fabrics develops. The course of the major exchange processes is broken. Excessive depth of breath breaks healthy proportions of blood gases and its acid-alkaline state. It involves failure of normal operation of the whole cascade of proteins and enzymes. All this promotes disturbance of an exchange of fats and accelerates adjournment of cholesterol in vessels. 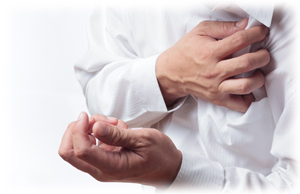 Thus, excessive and deep breath is the most important factor of development and progressing of coronary heart disease. For this reason reception of the whole handfuls of medicines does not allow to stop an ischemic heart disease. Taking medicine, the patient continues to breathe deeply and to destroy a metabolism. Dosages grow, the illness progresses, the forecast becomes more and more serious - and deep breath remains. 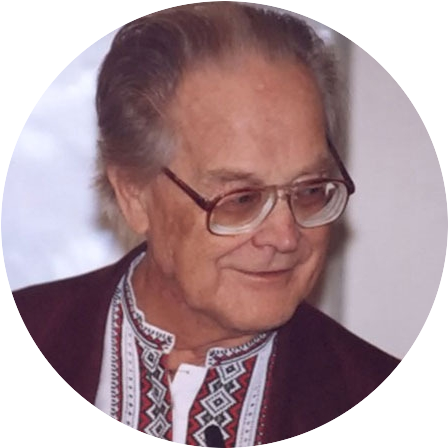 Normalization of breath of the ischemic heart disease patient - his reduction to healthy physiological norm, is capable to stop progress of an illness, to give huge help at treatment by drugs and to save life from a heart attack.